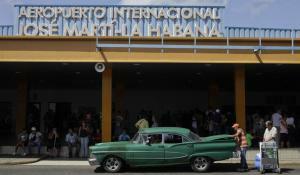 President Barack Obama’s decision earlier this month to ease restrictions on travel from the United States to Cuba has already increased demand from travelers, and travel websites are responding. Kayak, a travel search engine, announced on Thursday that it will now include Cuba hotel and flight information to its search results, a move that its competitors have yet to make. “Cuba travel information is now on Kayak, and specifically, Kayak users can search for both flight and hotel information,” Chief Marketing Officer Robert Birge tells Newsweek. Kayak’s Cuba search results will be somewhat different from results for other travel destinations. Usually, Kayak includes booking links with results, but because many travel restrictions are still in place for Cuba, those results will not include booking links. People looking to travel to Cuba can now use Kayak to find “data for 300 hotels” and information on flights to Havana, Santiago de Cuba and other cities. Because regular commercial flights do not operate between the U.S. and Cuba, Kayak users will have to book travel directly through charter companies. Those companies, which are licensed to coordinate travel in Cuba, operate out of cities such as Miami and Tampa, Florida, and use aircraft and crew from commercial carriers. Priceline, a similar site, does not currently have Cuba information in its results. “Offering consumers the opportunity to travel to Cuba is something we’re keeping an eye on,” a spokeswoman says. Orbitz, another travel website, is keeping an eye on Cuba as well. “It’s going to take a bit for us and others to be able to sell travel to Cuba,” says Chris Chiames, the company’s vice president of corporate affairs. Chiames adds that Orbitz is currently in negotiations with the Office of Foreign Assets Control and that it hopes to add Cuba to booking options by the end of 2015. Last month, President Obama announced that the U.S. and Cuba were resuming diplomatic relations. Two weeks ago, the Department of the Treasury and the Department of Commerce announced revised travel and financial regulations, which went into effect January 16. To travel to Cuba, Americans must be going for one of 12 reasons, such as family visits or professional meetings. “Under the new rules, Americans will not need specific licenses to certify they fit in those categories,” The New York Times reported. 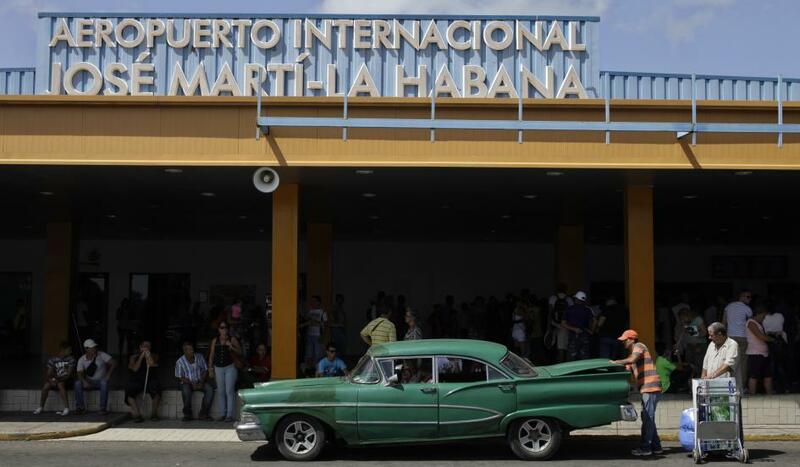 A spokesman for Miami International Airport says its number of chartered flights to Cuba has not yet increased from this period last year, but Bob Guild, vice president of Marazul Charters, Inc., which flies from Miami, says the requests are pouring in. “We have just been inundated,” he says.